Click the button below to add the Kuchi Ethnic Choker Buy Online Afghan Vintage Jewelry Necklace to your wish list. 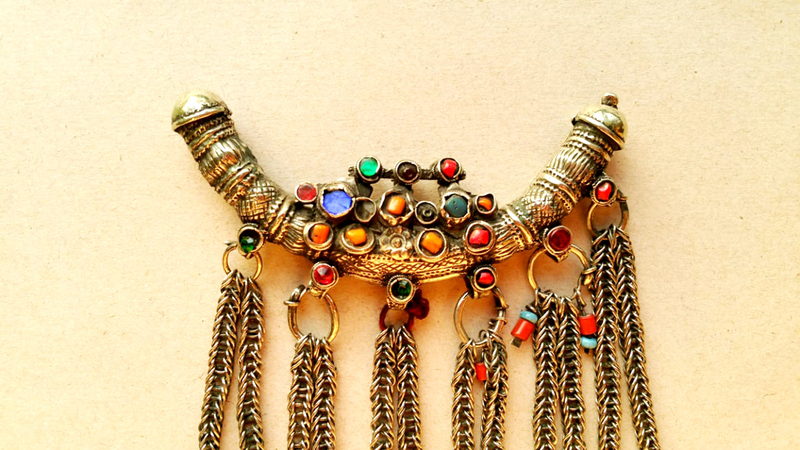 This is an Afghan Pashtun singer fashionable necklace, made of German silver. The necklace is traced back to old Afghan Kuchi culture and are originated in Afghanistan. The design and patterns are unique and very rare. 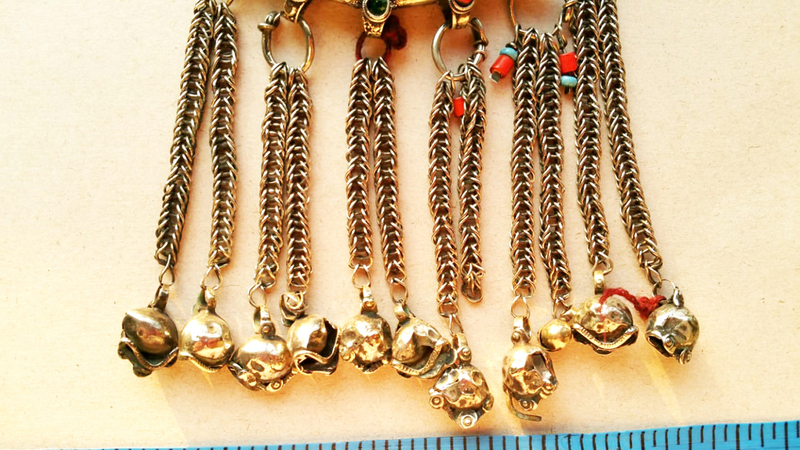 The product resembles old Afghan Gypsy jewelry making techniques, which is never ever chased till now. 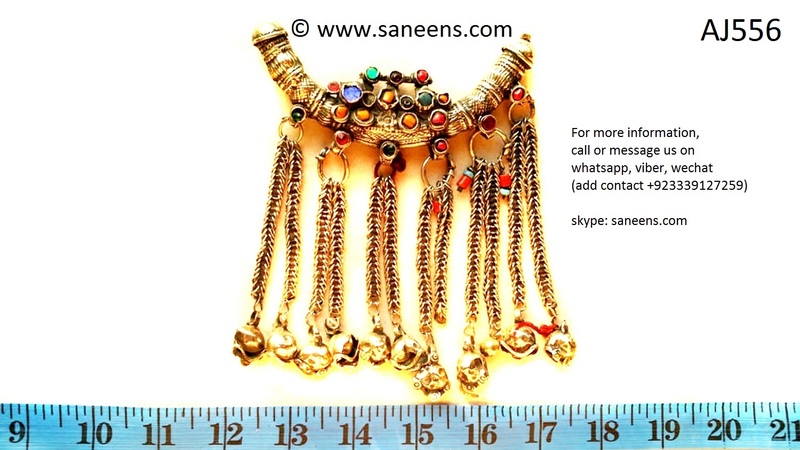 Such jewelry are loved by belly dance performers around the globe.